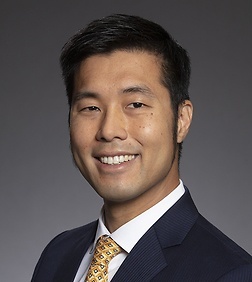 Jeffrey Liang is an associate in the Intellectual Property Practice Group in the firm's Silicon Valley office. Mr. Liang combines his engineering background and litigation experience to provide clients with an integrated, strategic approach to IP litigation. He has represented companies in all phases of patent disputes, including pre-suit investigation, negotiations, discovery, depositions, oral hearings, and trials. His practice includes district court litigation, IPR proceedings, and Section 337 investigations before the International Trade Commission, and he has represented clients in cases involving a wide range of technologies including cryptography, online payments, artificial intelligence, streaming media, databases, computer architecture, networking, wireless communications, and video games. He has experience with several industry standards including TLS, PCIe, and IEEE 802.3 and 802.11. In addition to IP litigation, Mr. Liang advises clients on technology transactions, including licensing agreements and negotiations. Prior to attending law school, Mr. Liang was an engineer at Intel Corporation. Defending leading data storage company in patent litigation against competitor in the International Trade Commission, Southern District of New York, and IPR proceedings. Representing leading video streaming companies in multiple IPR proceedings. Advising leading semiconductor company in patent licensing negotiations. Representing online game developer in IPR proceeding against game-design patent. Defending music streaming company against patent infringement in the District of Delaware. Defended leading semiconductor company in major contract dispute over patent licensing. Represented leading streaming video provider in IPR against recommendation-engine patent. Defendant leading ride-share provider accused of patent infringement in the District of Delaware in a case involving GPS. Defended leading online payments company accused of patent infringement in the Eastern District of Texas in a case involving electronic receipts. Advised leading medical equipment manufacturer in IPR proceedings against top competitor. Defended leading sports equipment company accused of patent infringement in the Eastern District of Texas in a case involving authentication protocols. Defended leading telecommunications company in the Eastern District of Texas in a case involving TLS and elliptic curve cryptography. Defended telecommunications company in competitor litigation in the Western District of Wisconsin. Defended leading networking company in a patent infringement case in the Northern District of Illinois, leading to a major RAND decision on IEEE 802.11. Defended leading semiconductor manufacturer and software company accused of patent infringement in the Eastern District of Texas in a case involving TLS and RC4 encryption. Defended leading networking company before the International Trade Commission in a dispute involving IEEE 802.3, standards-related defenses, and RAND issues. Defended leading cell-phone manufacturer accused of patent infringement in the Eastern District of Texas in a case involving RF transceivers. Defended leading software company accused of patent infringement in the District of Delaware in a case involving networking and database services. Represented a leading vendor of RFID microchips for pets against a competitor in a Federal Circuit appeal.